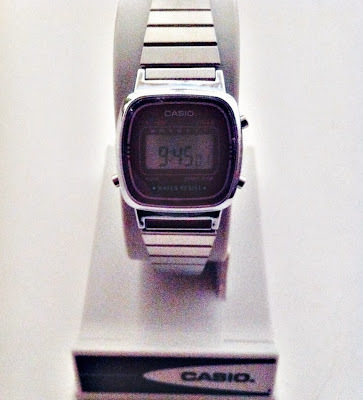 Monthly favourite : I am a Casio watches lover , I had my gold Casio for a while and now decided to try the metal one . I absolutely love it , it goes with most of my clothes but I prefer to wear it with a dress or classy clothes. The difference with my gold one is that this one is a little bit more smaller, I could even say that this one look more as wristwatch and that is what it made it so classy. Oh my friend used to wear one of these! They're so retro and fun!